NO MUD TAX! **For open houses and showings, please stop by the model home located at 1621 Cedar Crest Drive! ** Brand new Gehan home with est. February completion! 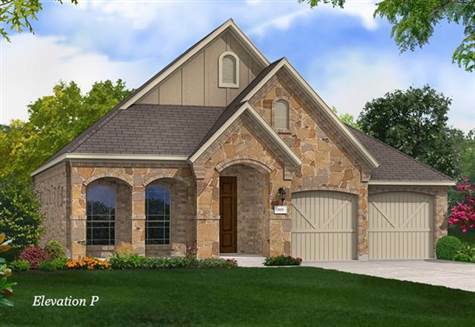 Gorgeous 1-story exhibits the Laurel plan, offering 2061 sqft of living space spanning 3 bedrooms, 2 full baths, formal dining, executive study, and 2-car garage! This professionally designed plan offers a backyard covered patio, cozy gas log family room fireplace, granite countertops, beautiful hardwood flooring, stainless steel appliances, full sod, and irrigation system! Located in the beautiful master-planned community of Gateway Parks with an adult pool, resort-style pool with beach entry, splash park, and amenity center great for entertaining!